The word “natural” has recently earned a bad rap. Many companies are now using it as a marketing gimmick to entice customers into buying products that actually contain some very unnatural things. 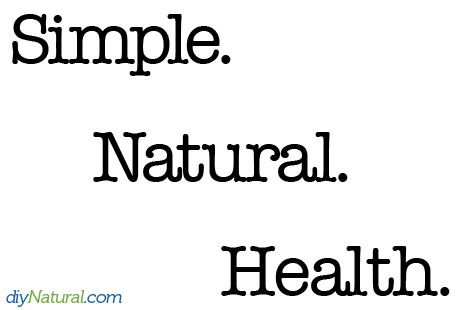 When I refer to “natural” I mean living a simple, deliberate, functional lifestyle with fewer chemicals. Living naturally means paying attention to the consumeristic messages around us, and rejecting them if necessary. It means advocating for yourself (and your family) and educating yourself about things companies hope we ignore. It means doing things yourself, even if it might be less convenient. I’m not suggesting everyone has to become a homesteader or give up commercial products altogether to live naturally. Rather, there are many small things we can do to move in the direction of a more natural lifestyle. The key is starting small. The natural revolution began in our house with changes to our diet. It snowballed from there into all areas of our lives. After a year of making small changes we would talk to friends who were astonished at the enormous difference in our lifestyle, and they would dejectedly remark about how tough a similar lifestyle might be for them. Many of them were overwhelmed at all the small things they would need to consider and change in order to live more naturally. We were quick to remind them that our natural lifestyle evolved over several years. It definitely didn’t happen all at once! We get it. Modern society doesn’t exactly make it easy to live a natural lifestyle. In fact, we have so many great conveniences at our disposal that some people consider it downright silly to reject them. Giving in to an “easy” life of convenience would be less complicated and time-consuming than pushing for natural, chemical-free, healthy options. However, life teaches us that easier isn’t always better. We always tell people to start with ONE thing. Choose one small facet of your lifestyle and commit to finding a more natural replacement. Don’t overdo it; move at your own pace and ignore pressure from others who may be mocking your efforts, or worse yet, pressuring you to do too much all at once. Each small change you make toward a more natural life has to become second nature… habitual. We recommend allowing each new habit to form before introducing another natural change. This slow approach won’t leave you feeling all topsy-turvy and ready to give up. Instead, you will have 1) time to analyze whether the change has really made a difference for you, 2) energy to dream up your next lifestyle change, and 3) excitement that can be passed on to others who may need some encouragement to start their own natural revolution! If you’re reading this article, chances are you already have some interest in taking care of yourself in a natural way. Consider choosing one small thing from the following categories and committing to work it into your life. It may be a more seamless transition than you think. Feel free to call out a “woot woot” if you spot something you’re already doing! Grow a small garden or even just one container plant. Shop the perimeter of the grocery store (where fresh foods are found) and avoiding the middle when possible (where prepared foods lurk). Look at ingredients on food packaging and purchase items containing the fewest ingredients, preferably those you can pronounce. Avoid anything made with high fructose corn syrup. Purchase organic fruits and vegetables that are on the “Dirty Dozen” list. Find a local source for fresh, healthy eggs. Germs are everywhere – but – we have been brainwashed with anti-germ scare tactics from multi-national corporations trying to sell products. “Germs” aren’t necessarily a bad thing, and not everything in our homes needs to be as sterile as a hospital operating room. 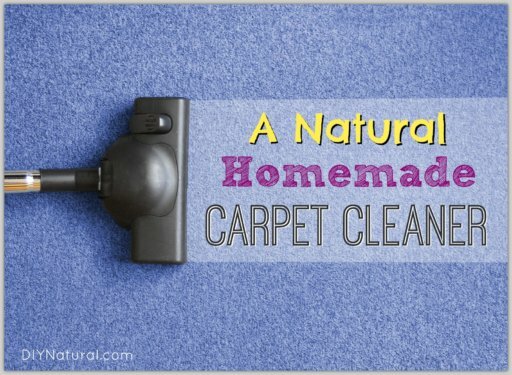 We can keep our homes sparkling clean and our families safe from harmful chemicals and accidents while using natural cleaning products. Keep a spray bottle of vinegar (disinfecting) and a shaker-top container of baking soda (scouring) in the kitchen for cleaning sinks. Try to go without bleach–use hydrogen peroxide or vinegar to disinfect, and use oxygen whiteners, baking soda, cream of tartar, or hydrogen peroxide to whiten things. 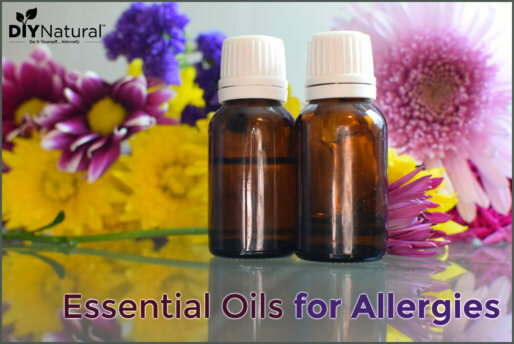 If you don’t wish to make your own, purchase one natural cleaning product from the store and test it out. Eliminate chemical dryer sheets and make your own naturally. Ditch the blue stuff and make your own glass cleaner with safe ingredients. A friend of mine once commented that it would be safer to eat some of the chemical-laden products we use than to apply them to our bodies. Our skin is highly absorbent, yet it doesn’t possess the same filtering mechanisms that our internal organs have. Don’t eat your face cream to test this theory. Read labels on personal care products and educate yourself about ingredients your products contain. Eliminate products with parabens from your personal care routine. Treat your mouth to a more gentle, homemade mouthwash. Switch to a natural deodorant. Find a hair dye without formaldehyde or ammonia. Test out a natural, handcrafted soap in the shower. Whenever you have time, park a few blocks from your destination and enjoy the scenery as you walk. Make a standing date to play your favorite sport with a friend each week. Ride your bike whenever possible to run errands, visit a neighbor, or explore your city. Join your kids (and try to keep up with them) when they play outdoors. Take time to stretch each day. This category of natural living seems to fall in place a little better when individuals give attention to the previous categories. When your body is nourished by real food and gentle products, your house is cleaned with safe ingredients, and you’re paying attention to your need for activity, your body is already getting the best proactive health care available. Trips to the doctor will be less frequent, fewer medications will be necessary, and you will see that lifestyle changes are really the best health insurance. Visit a naturopathic doctor who practices homeopathy to discuss becoming a patient. Explore natural options for pain management. Find a doctor who recommends lifestyle changes before prescribing medication. Begin asking lots of questions while visiting the doctor… inform yourself. If you haven’t already set yourself on a path toward more healthful, natural living, it’s time to undertake this serious endeavor. The most important thing to remember is it doesn’t have to happen at an overwhelming pace. Step by step, begin clearing unnatural things from your life and introducing better alternatives. You will notice that it’s fun, empowering, and a little bit addictive. Are you feeling motivated to tackle and change one small thing in your life? If so, share with us! Maybe you’re already living a very natural lifestyle. Share your experience below. This is a great article, I hope you don’t mind I add a few of your tips to my article about how to be healthier and happier woman in 2013. Great stuff and thank you! Not at all Meital…share away! Just be sure to link back to us in your article. 🙂 Thanks for reading! Great article! It IS a process. Ours has evolved over 40 years. Our 1st push was when our youngest was ADHD. Rather than drugs, I researched and cut out all kinds of foods for the whole family. Retired to the country and have a large garden. Freeze all I can. Latest push was when I was told I was pre-diabetic. Cut out all sugar (any dessert. I eat some fruit). That will raise eyebrows. Dropped 12 pounds and my sinus allergies improved big time! Great article! So true that it takes small steps to make natural ‘normal’ again following years of not thinking twice about the things that surround us, consumerism and our daily habits. What is an extreme way of living for one person is also true vice versa. Today I consider that to consistently ingest, put on our skin and surround ourselves with toxins is extreme, rather than our natural lifestyle which, well, now comes naturally and feels amazing! I love your story it is so right especially this part.